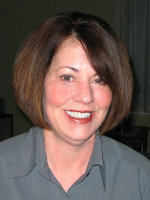 ALBANY – Diane Tidings Buchanan, 52, of Albany, died Saturday, July 10, 2010 in the Hospice Inn at St. Peter’s Hospital. Diane was born in Albany and lived here all her life. She was a graduate of Mater Dei College in Ogdensburg, and was employed for a time by CHP. More recently she served as the practice manager for Cornea Consultants of Albany. Diane is survived by her husband Robert L. Buchanan; her son Michael R. Buchanan; her mother Joan K. Lill Tidings; her stepdaughter Erin Lopez (Derek); her sister Donna Tidings; her brother John T. Tidings (Denise); her sister in law Ellen Tidings; and by several nieces and nephews. She was predeceased by her father James J. Tidings and her brother David J. Tidings. Funeral services will be held in the Hans Funeral Home, 1088 Western Ave., Albany, Wednesday morning at 9:15, and from there to the Parish of Mater Christi (formerly St. Catherine of Siena Church), Hurst Ave., Albany at 10:00. Relatives and friends are invited, and may call at the funeral home Tuesday from 4-8 p.m. Interment will be held privately at a later date in Calvary Cemetery, Glenmont. In lieu of flowers, memorial contributions may be made to the American Cancer Society, 260 Osborne Rd., Ste. 1, Albany, NY 12211. To leave a message of condolence for the family, or obtain directions to the funeral home, please visit www.HansFuneralHome.com. Diane’s kindness and friendship will always be remembered. My heart goes out to you through this time of loss. My deepest sympathy goes out to Diane’s family. I’ve know Diane for over 30 years. Even though I haven’t seen her in the past several, she has always been in my heart. Such a sweet soul taken to soon. Bob – My thoughts and prayers are with you and your family. You’re in my thoughts during this time of sorrow. I’ve had the pleasure to work with Diane for about 8 years. She cared very deeply about her work and the people that she worked with. It was always so much more than a job to Diane. She loved her family, her summer camp and doing the best job that she could. She will be missed by all. Prayers for peace and strength are raised for you today. To Diane’s family: I worked with Diane as an optometrist when she managed the CHP Eye Care Department. She was very conscientious, but also warm and caring. She used the knowledge she gained about eye care management after CHP folded to provide the same high level of service at Corneal Consultants. I had several opportunities to speak with her during that period, especially when referring patients from Whitney Young Health Center. We have all lost her way too soon, and she’ll be greatly missed. I graduated from Mercy High School with Diane, and I have many fond memories of good times shared during our four years together. My deepest sympathy to Diane’s family. Im so sorry to here about your loss. Diane and I worked together years ago and have stayed in touch over the years. My deepest sympathy to Diane’s family. You are all in my prayers. I am so sorry for your loss. I remember both you, Bob, and Diane at Mater Dei. Those were wonderful days. I will hold you in my thoughts and prayers.